I was relaxing at home the other night when I heard my neighbor’s dog howling. It was a slow, mournful wail and then it would pause for a minute. A few blocks away another dog would bark back a response, and then the howling would continue before another dog would jump in on the conversation. It sounded familiar but I couldn’t quite put my finger on where I’ve heard it before. Then it hit me. I was listening to the twilight bark in action. 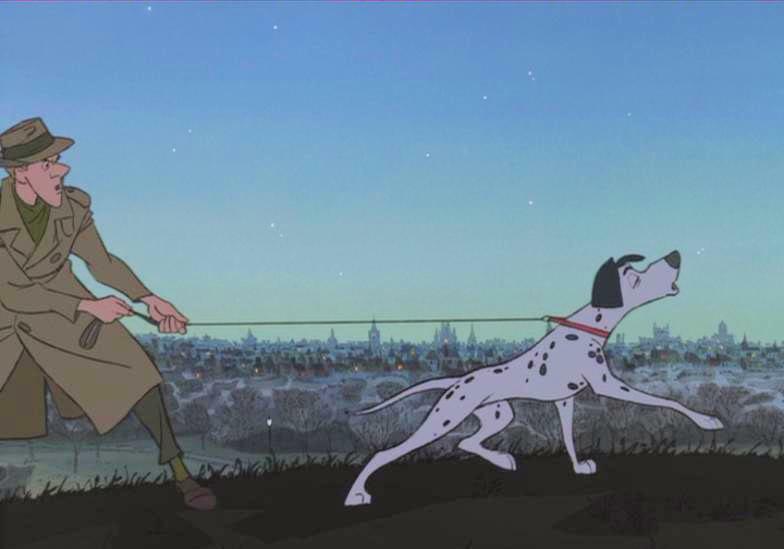 You might remember the twilight bark from Disney’s One Hundred and One Dalmatians. It’s when the evening quiet is shattered by dogs barking and howling at each other. It’s how Pongo and Perdita spread the word about their kidnapped puppies. The twilight bark is far more than a canine AMBER Alert. It’s a canine form of communication over long distances. Everyone knows the best way for dogs to converse is to sniff each other’s asses, but the twilight bark allows them to broadcast information on a larger scale. It’s like Twitter only with more growls and yips and fewer hashtags and you aren’t restricted to a hundred and forty characters.